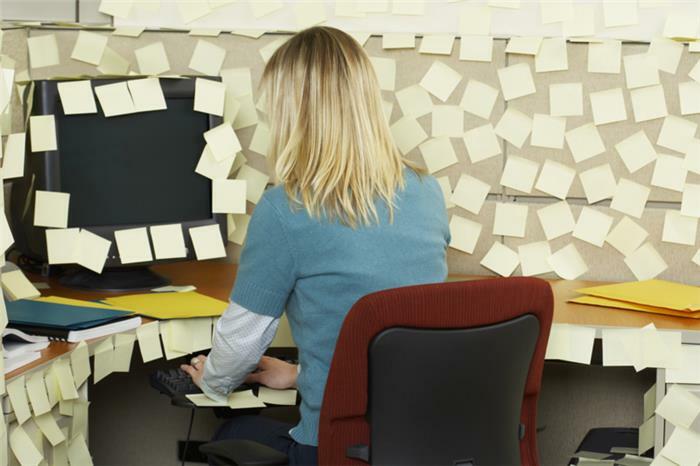 Do you have a desktop full of sticky notes? Why not put them all into a single desktop binder with laminated pages that make moving them around easy? If you laminate white sheets of paper, not only will you be able to easily re-position any sticky note, but you can use a whiteboard pen to write on the paper itself.